The Walsh/Shea Corridor Constructors is comprised of Walsh, Shea, HNTB, Comstock and ARUP who have come together to provide the Los Angeles County Metropolitan Transportation Authority (Metro) a combination of highly experienced local and national transit resources coupled with the talent and resources of the greater LA community. This team was assembled with the single-minded focus of achieving every goal and objective that Metro has set for this project. Understanding not only the goals of Metro but the importance these goals have on the project and the community will help the Walsh/Shea Corridor Constructors produce a safe project that is on-time, on-budget and creates the least amount of disruption with the highest benefit to the community. The new Metro Rail extension will offer an alternative transportation option to congested roadways and provide significant environmental benefits, economic development and employment opportunities throughout Los Angeles County.The Crenshaw/LAX Transit Corridor project is an 8.5-mile light rail line that will run along Crenshaw Blvd. and the Harbor Subdivision right-of-way from Exposition Blvd. to the Metro Green Line. The overall goal of the project is to improve mobility in the corridor by connecting with the Metro Green Line and the Expo Light Rail currently under construction. 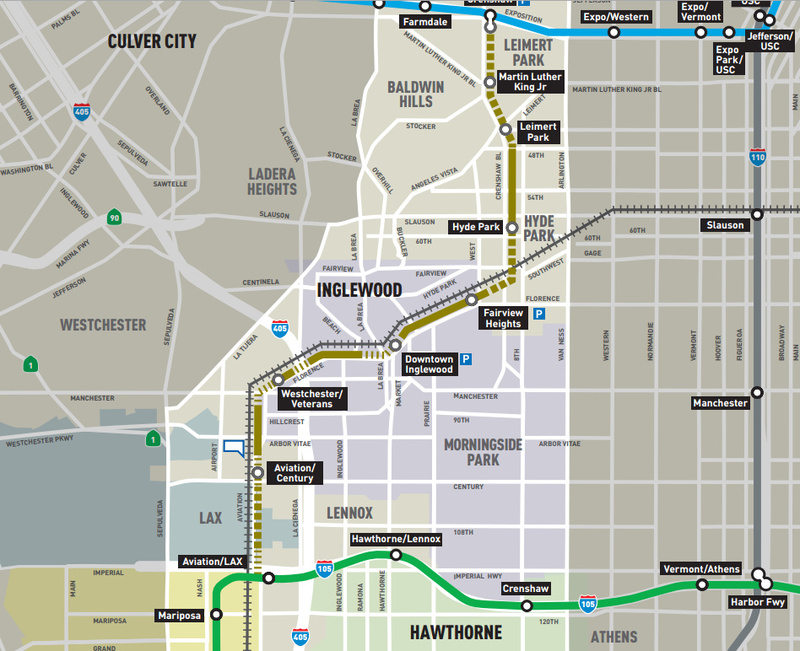 It will connect the Metro Green Line and the Expo Line currently under construction at Crenshaw and Exposition Boulevards.